Laura Osnes and Corey Cott will be getting Broadway into the swing of things! 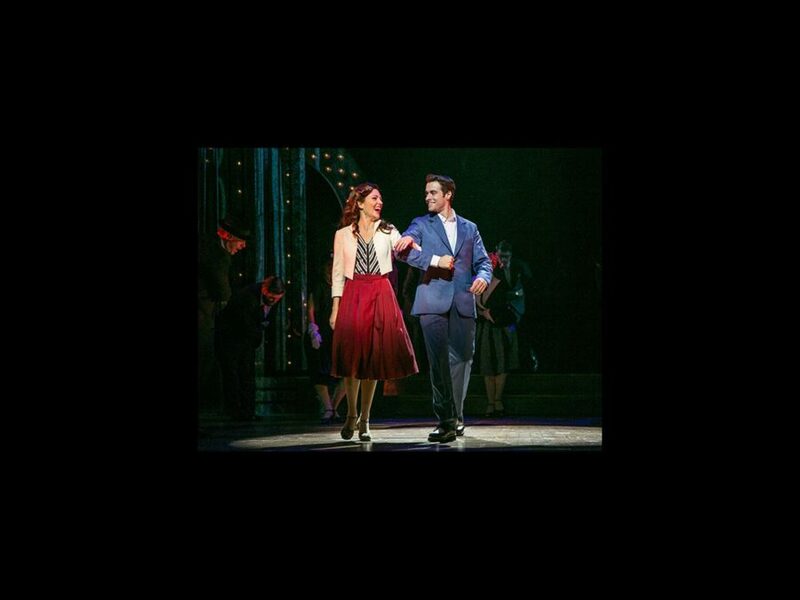 The pair are slated to reprise their roles from the Paper Mill Playhouse engagement of The Bandstand when it transfers to the Great White Way in the 2016-17 season. Directed and choreographed by Andy Blankenbuehler (Hamilton), dates, theater and additional casting for the new musical will be announced later. Osnes has starred on Broadway in Bonnie and Clyde, Anything Goes, South Pacific and Grease; she was nominated for a Tony for her performance in Rodgers + Hammerstein's Cinderella. Additional theater credits include Carousel and The Threepenny Opera. On screen she has been seen in Elementary and The Miraculous Year. Cott most recently appeared on the Main Stem in Gigi having previously starred in Newsies. Film credits include The Intern, The Teacher, Perks Of Being A Wallflower and What You Get. Set in 1945, The Bandstand tells the story of musician Donny Novitski (Cott) who is about to take on the mission of his life: leading his band of fellow veterans into competition for America’s next swing band sensation. When Donny meets a beautiful, young singer named Julia (Osnes), he finds the perfect harmony in words and music that could take this band of brothers all the way to the live radio broadcast finale in New York City. However, complicated relationships, the demands of the competition and the challenging after-effects of war may break these musicians. With music by Richard Oberacker, and a book and lyrics by Oberacker and Robert Taylor, the original score is strongly influenced by authentic 1940s swing music, much of which is played onstage by the characters and band members. The production will feature scenic design by David Korins, costume design by Paloma Young, lighting design by Jeff Croiter and sound design by Nevin Steinberg. Check out Broadway.com's video featuring interviews with Osnes, Cott and the creative team about the tuner's Paper Mill world premiere below!